Nichelle feels betrayed and alone as she wonders what happened to her man Renny and if her best friend Tierra is dead or alive. As she fights through the turmoil she is more determined than ever to locate the brother she never knew she had, Genesis, but will the calculating and ruthless Arnez stand in her way? Genesis is still a broken man after losing his wife on their wedding day. Tierra Thompson has a chip on her shoulder and an ax to grind. She was born in the hood, and at twenty-one she has grown tired of calling it home. 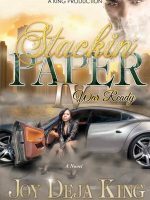 After hustling and being hustled by the dealers around the way, the hard truth is setting in and Tierra has to decide if she is willing to sell her soul to escape the grittiness of the streets.